The Mousetrap 2016 UK Tour. Image Hugo Glendinning. 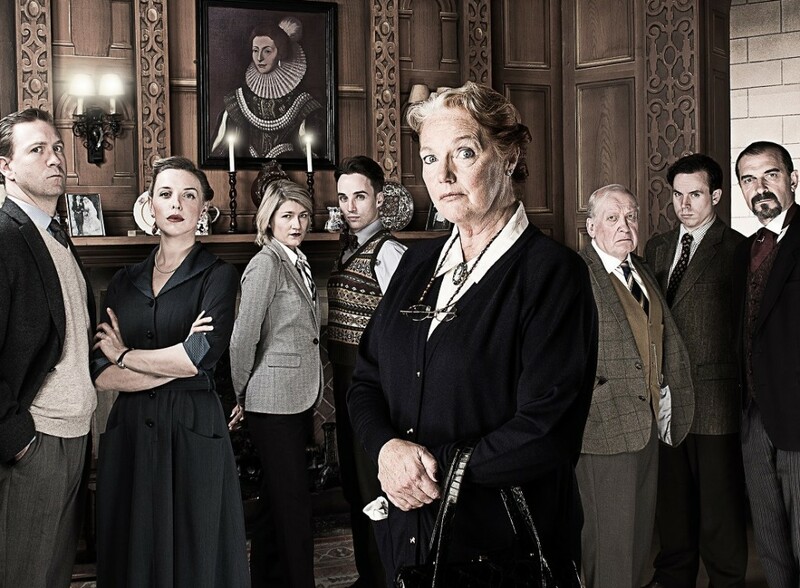 It seems incomprehensible that there is anyone left who hasn’t seen Agatha Christie’s The Mousetrap and entered into its global pact not to tell their neighbours whodunnit. But the public can’t get enough of this classic thriller, one of the finest ever written, and it’s set to tour the UK again in 2016 with a new cast of misfits and ne’er-do-wells who may or may not be a serial killer. Its first ever national tour set out in 2012 – and it is still on the road, taking the odd breather for a cast change. The beloved murder mystery will begin the latest leg of its tour at Nottingham Theatre Royal, where it originally opened in 1952, on January 19 before visiting more than 25 other venues across the UK. The cast for the 2016 tour includes Anna Andresen (Mollie Ralston), Nick Barclay (Giles Ralston), Tony Boncza (Major Metcalf), Lewis Collier (Sgt Trotter), Gregory Cox (Mr Paravicini), Amy Downham (Miss Casewell) and Oliver Gully (Christopher Wren) who will join the previously announced Louise Jameson (Doctor Who, EastEnders, Doc Martin) as Mrs Boyle. Formner Dr Who companion Louise Jameson has had a long-running TV and stage career that includes Bergerac, Doc Martin, and EastEnders, Noises Off (Mercury Theatre), Gutted (Theatre Royal, Stratford East) and Oedipus (The Liverpool Everyman & Nottingham Playhouse). Anna Andresen’s previous theatre credits include The Frozen Scream (Birmingham Hippodrome/Wales Millennium Centre) and The 39 Steps (Criterion Theatre). She has also appeared on TV in Fortitude, Miss Marple, Silent Witness and Wire in the Blood. Nick Barclay is no stranger to murder having appeared in Stone Cold Murder, Dial M for Murder, The 39 Steps, The Titfield Thunderbolt, Strangers on a Train, Dead Funny and Dangerous Corners. Nick has toured internationally with productions including Stones in His Pockets, Art, Private Lives and The Complete Works of William Shakespeare (Abridged). Tony Boncza played Sgt Trotter in the West End’s production of The Mousetrap 25 years ago. In addition to his work on stage, he has appeared on screen in The Royals, The Sarah Jane Adventures and EastEnders. Lewis Collier’s previous stage credits include Classic Ghost Stories (UK Tour) and The Three Lions (St James Theatre & Tour). Gregory Cox began his stage career with Oliver! (West End) and went on to Arcadia (UK Tour), Don Juan (Lyric Theatre, Hammersmith), The Picture of Dorian Gray (Windsor and UK tour), Tale of Two Cities (Sheffield Crucible) and Hamlet (Rose Theatre). The production, which originally opened at Nottingham Theatre Royal in 1952 starring the late Richard Attenborough and his wife Sheila Sim before embarking on its current record-breaking West End run. The 60th Anniversary UK tour has been seen by one million people since 2012 having broken box office records in many of its tour venues. 8 – 13 August, Bristol Hippodrome.